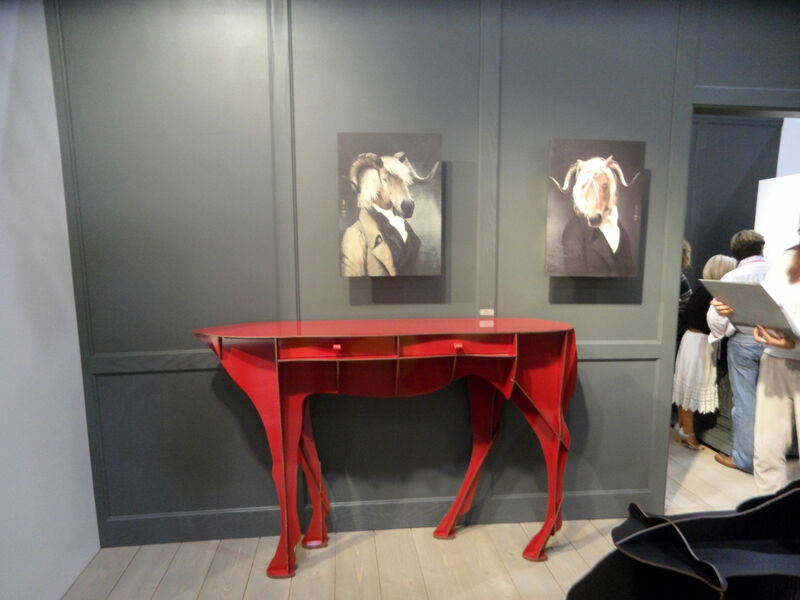 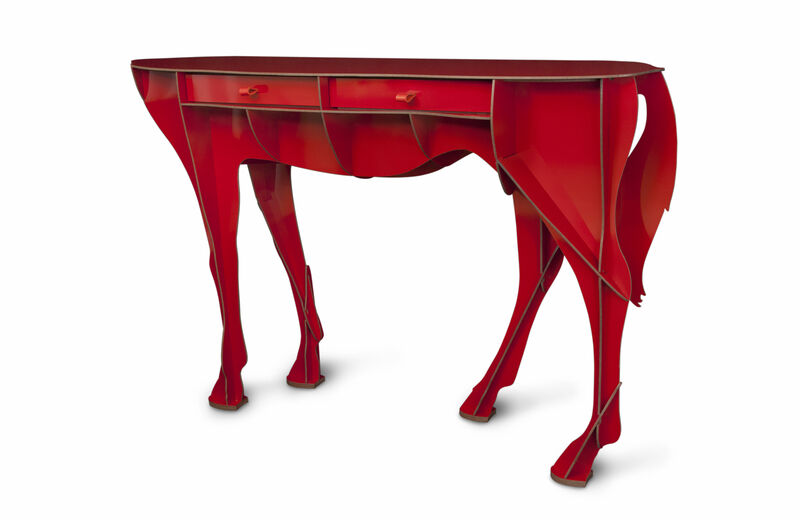 Ibride jostles our universe domesticates and we propose a company furniture to adopt with humor! 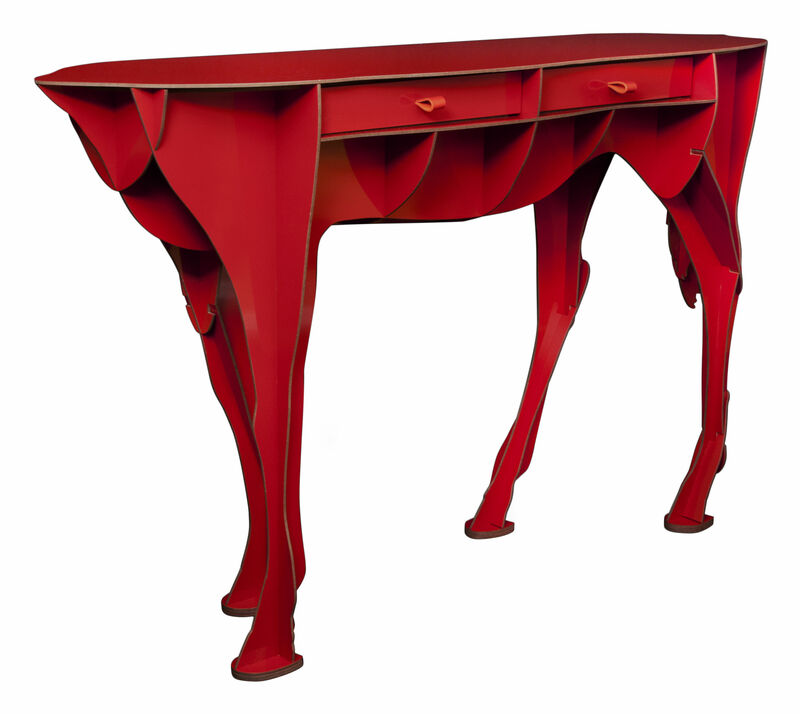 One tames with big happiness this console Elisée in pure breed forms. 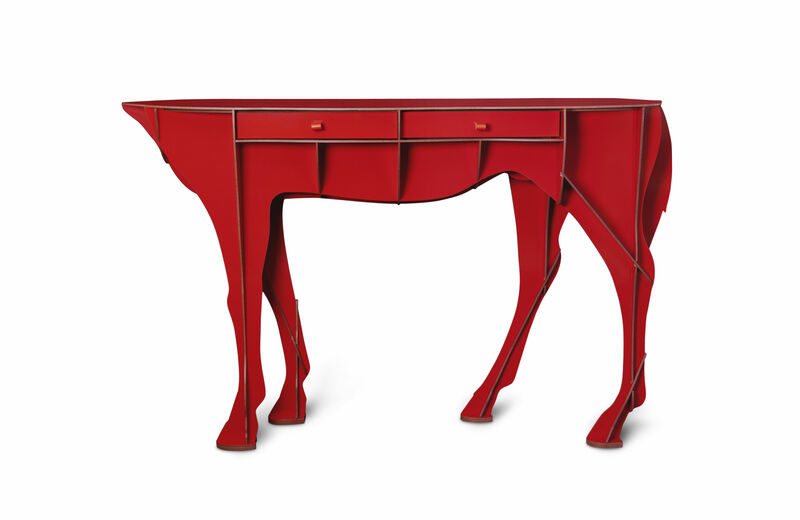 This company furniture is domesticated, of course out-of-place, but serviable, crosses by excellence... Attention, lightly eccentric! 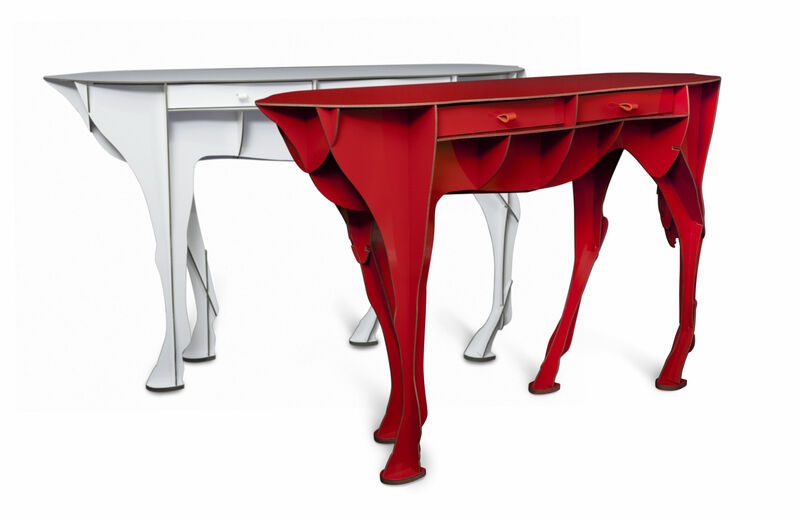 Exists in red and white.